1. 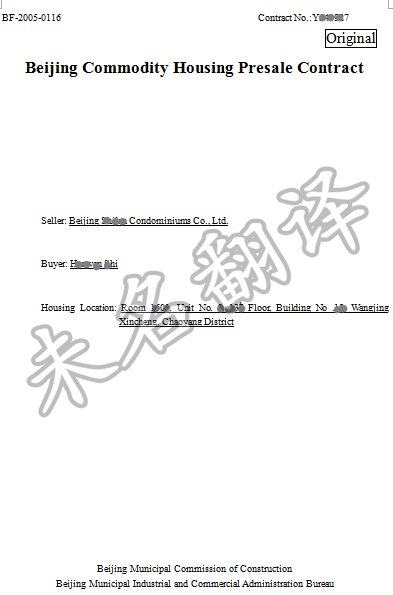 This contract is a model contract prepared by Beijing Municipal Construction Committee and Beijing Municipal Industrial and Commercial Administration Bureau together. 2. 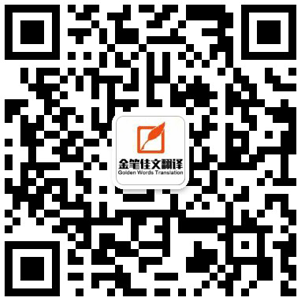 Before signing of the presale Contract, the Seller shall show the presale license of commodity housing and other related certificates and documents to the Buyer. 3. Both parties should achieve this contract in accordance with the principle of voluntariness, fairness and good faith; either must not impose the views on the other party. Both parties can modify, supplement or delete the content of the articles. After the Contract comes into effect, the confirmed text will be considered as the content agreed by both parties. 4. Before signing of the presale Contract, the Buyer should read the Contract articles carefully, especially the content of selectivity, complementariness, fallibility and modifiability. 5. In order to represent both parties’ voluntariness, there will be blank lines following the related articles in this Contract for both parties to stipulate or supplement the Contract. With regard to the contents which haven’t been included or stated in-exhaustively in this Contract, the Seller and the Buyer can sign a fair and reasonable supplementary agreement, and also supplement the Contract at the blank lines following the related articles according to the specific condition of the presold item. 6. Both parties should determine how to fill in the selecting contents in [ ], blank spaces, and other contents required to be deleted or supplemented in the Contract through consultation. The selecting contents in [ ] should be selected with a √; if it doesn’t happen actually or something hasn’t been stipulated by both parties, write a ×in the blank space for deletion. make sure the content of each copy are consistent; In any case, the Buyer should hold at least one copy of the original contract.